For a Communist tyrant, Joseph Stalin remains remarkably popular in the capitalist world of UK auctions – the latest evidence provided by a rare cast bronze death mask offered at Canterbury Auction Galleries (24% buyer’s premium). 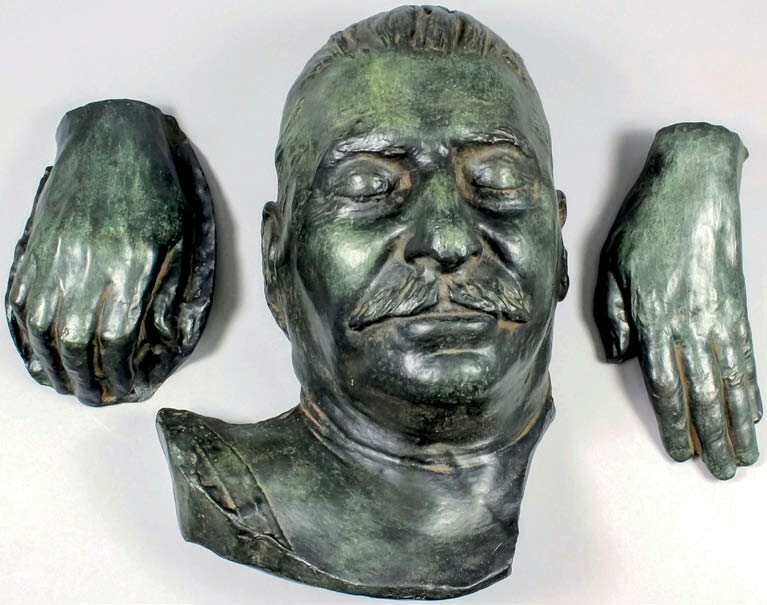 Cast bronze death mask and hands of Stalin – £13,500 at Canterbury Auction Galleries. Signed and dated March 1953, the 12½in (32cm) tall bust had been brought home by the vendor’s seafaring grandfather and was estimated at £1500-2000 at the Kent sale on August 1. Offered with bronze casts of the old monster’s hands, it sold to a UK phone bidder acting for a client at £13,500.